It's been quite a while since I've put on something so airy and delicate, and I feel like my old self again. Kora Rae dress. 71 Stanton top. 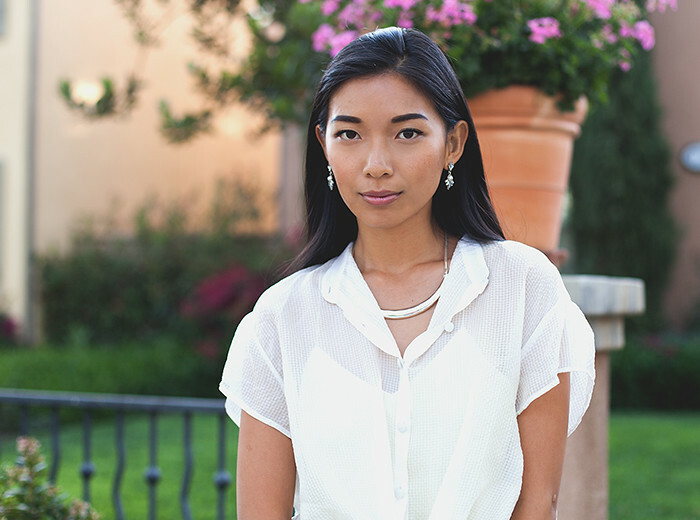 Chloe + Isabel necklace and earrings. I blame the incessant heat for limiting my wardrobe options to textiles that don't get ruined by sweat. But the clouds have swooped in from the heavens to give us all a little bit of a break and an opportunity for me to twirl in silk again. The dress I'm wearing from Kora Rae is impeccably tailored and majestically executed. Its dainty straps to its ethereal form and hazy shade of yellow exudes a surreal visage that fools even me into thinking I'm going to step into an idyllic cove of white sand in Bora Bora. What's incredible about Kora Rae is the designer Rachel Turzer's muse: a young tiger cub she rescued and adopted named Kora. Kora now resides in the US National Tiger Sanctuary in Branson, Missouri (sidenote, most random place in which I'd imagine tigers live), where a percentage of all the brand's proceeds are donated. Kora inspired Rachel to design for the woman who embodies the psyche of the tiger: fearless, powerful, beautiful, and independent in every aspect of her life, including what she wears. If you want to actually meet Kora, check out his (yes, a he) profile I found here. Aren't you falling in love?? It's very endearing wearing something inspired by this pretty little guy. 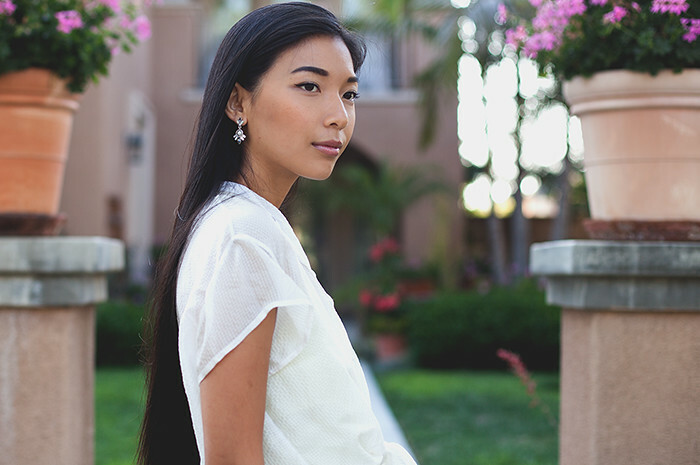 Check out the rest of Kora Rae's beautiful new Spring/Summer collection, her pieces are so fresh for your exotic summer travels! you're gorgeous!! 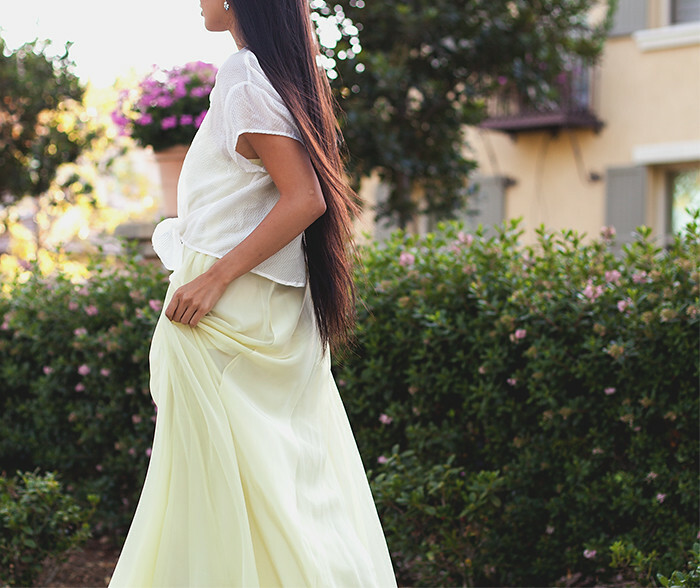 love how flowy and relaxed this entire outfit looks!